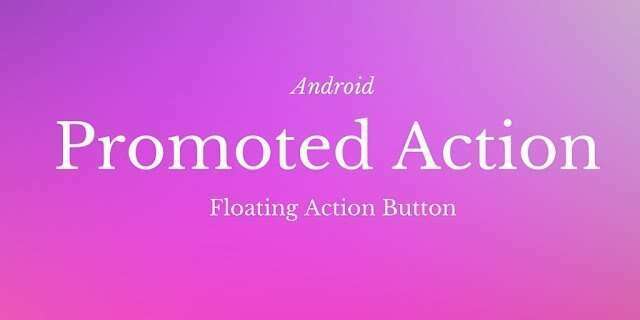 Recently new design pattern were introduced in Android called Floating Action Button. This pattern is known as Promoted Actions. They are actions that are directly visible in the UI instead of using action bar button; for this reason these actions are called promoted, they can be easily accessed and define the main action in the current UI. For example, if we are using an email app and we are listing the inbox folder, one promoted action can be a new mail. The visual pattern is called Float Action Button (or FAB) because the promoted action can be represented using a floating circular button on the UI. This type of design patterns are available in Android L but we can create a floating button also in previous Android version.